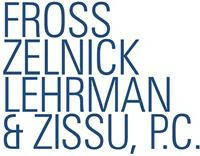 Fross Zelnick Lehrman & Zissu, PC is considered a trademark and copyright powerhouse by IP practitioners around the globe. Leading brand owners and content providers in almost every industry call on Fross Zelnick’s team of approximately 50 specialised lawyers for cost-effective counselling, prosecution and litigation expertise. Consistently ranked at the top level in global surveys of in-house counsel and law firms, Fross Zelnick provides sophisticated legal advice to in-house IP legal departments, executive officers and early-stage founders on developing, protecting and enforcing brand and design portfolios. The firm is also recognised for its long track record in design patents, publicity rights, anti-counterfeiting, cybersquatting and unfair competition law. Fross Zelnick offers clients comparable strength in both US and international work (a rarity in the IP field) and maintains active relationships with leading practitioners around the globe. As such, the firm is uniquely positioned to help owners of worldwide trademark portfolios to establish, maintain, protect and make profitable use of their trademark rights. All the firm&apos;s lawyers are trademark experts and in-depth specialists in at least one area of trademark and unfair competition law. Fross Zelnick is in the top tier of trademark and copyright litigation firms in the United States, with a reputation for successful litigation that often leads to disputes being settled without court proceedings. When litigation is unavoidable, the firm&apos;s litigators know how to fight for clients and win. Internationally, Fross Zelnick&apos;s wide experience in foreign and multi-country trademark and copyright litigation includes a history of successfully recapturing pirated well-known marks. Consistently among the top filers of US trademark applications, Fross Zelnick registers clients’ trademarks, copyrights and design patents. Lawyers&apos; specialised knowledge in this area means that they know how to get the job done efficiently and obtain rights that will stand up in court. The firm is known for providing exceptional global IP management. Working closely with their select network of foreign counsel, Fross Zelnick identifies, protects and defends clients&apos; rights under copyright, trademark, trade dress, design patent, trade secret and related laws in the United States and throughout the world. Highly experienced in anti-counterfeiting and enforcement matters, Fross Zelnick has developed sophisticated and cost-effective enforcement programmes for clients to prevent the import, sale and distribution of a wide variety of infringing or counterfeit products, including apparel, footwear, cosmetics, jewellery and luxury goods. These programmes include the recordal of relevant IP rights with Customs in the United States and internationally. Whether a client is buying or selling an entire business or part of a portfolio, Fross Zelnick negotiates licences and related agreements that safeguard clients’ business and legal interests. The firm conducts due diligence reviews for mergers, acquisitions and other corporate ventures, and records the corporate changes against clients’ IP registrations worldwide upon completion of the transaction. For decades, Fross Zelnick lawyers have protected famous entertainment characters through sophisticated copyright protection strategies and enforcement against infringers. They also have retrieved numerous infringing or disparaging trademarks and domain names for celebrities, and litigated high-profile cases involving the unauthorised use of well-known names and likenesses. Internet law is evolving as rapidly as the medium itself and much of it is rooted in trademark and copyright law. The firm&apos;s lawyers litigate UDRP proceedings against cybersquatters, advise on worldwide domain name registration and disputes, monitor the Internet for infringements, negotiate linking and keyword agreements, draft privacy policies and develop strategies for policing and protecting IP rights online.